No one wants to eat boring food. I mean, what’s the point? There’s so much boring in life that you can’t escape, why settle for boring food? So I am constantly on the search for really good doesn’t-taste-like-a-diet food for this keto journey. Cuz, let’s face it, if the food isn’t enjoyable it’s going to be a short trip. And while I’ve found a few go-to recipes, I really don’t like eating the same thing over and over every week. 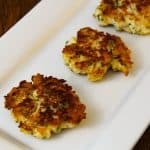 That’s why I was so excited when I stumbled across this Keto Chicken Patty recipe. It uses chicken, obviously, so it’s budget friendly which is always a plus. And it’s fried. Which sounds kind of a silly thing to be excited about, but I love fried foods! And I’ve had to give a lot of them up. The really big plus, though, is that it’s really easy to throw together. 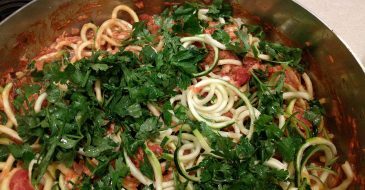 This recipe would be great for meal prepping or freezer cooking as well. The original recipe called for chicken breast that you cut up into small pieces. Like, really small diced chicken pieces. I made it that way the first time. After that, I used ground chicken. But I can’t always find good quality ground chicken at the store. When that happens I use the grinder attachment on my KitchenAid mixer to grind it up real quick. 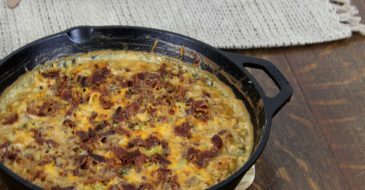 I found the original recipe on Blondelish.com and, surprisingly enough, haven’t really changed it up a lot. Also, I use dried herbs a lot instead of fresh during the winter when my herbs aren’t growing, so I’ve given you the option of using either. I used a mixture of cheeses instead of just one. And I use coconut oil to fry in instead of the original olive oil. Coconut has a higher smoke point than olive oil does and that’s always a good thing when frying. 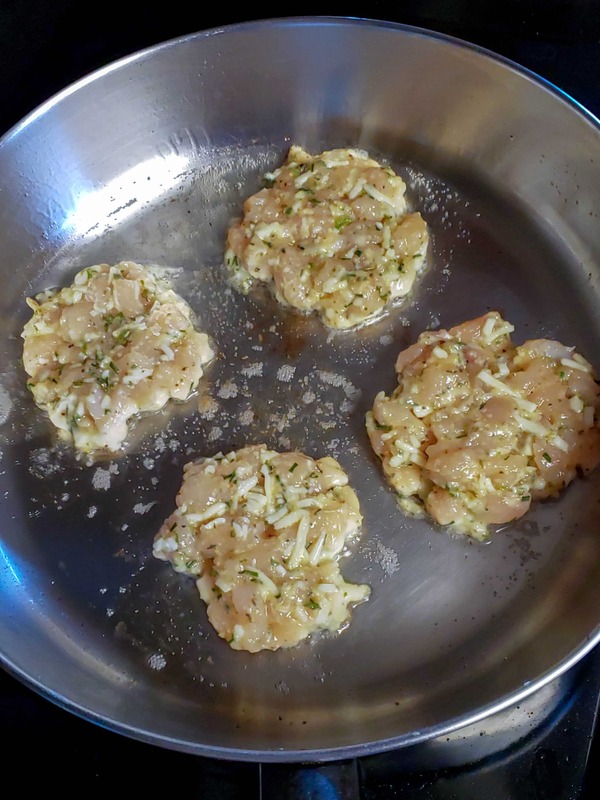 I serve these Cheesy Chicken Patties with lemon wedges, my Keto Ranch Dressing for dipping, and a crisp green salad. Any leftovers keep well in the fridge for about 5 days, and they freeze beautifully. BONUS: They actually even taste good cold! So they make a great grab and go snack or lunch you can take to work with you. I’ve even thought about making mini meatball type things out of this recipe to serve as appetizers or even game day snacks. 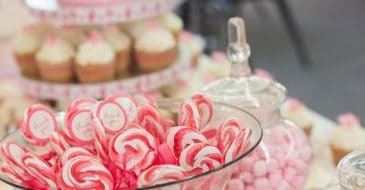 Are you ready to make these? Let’s go! 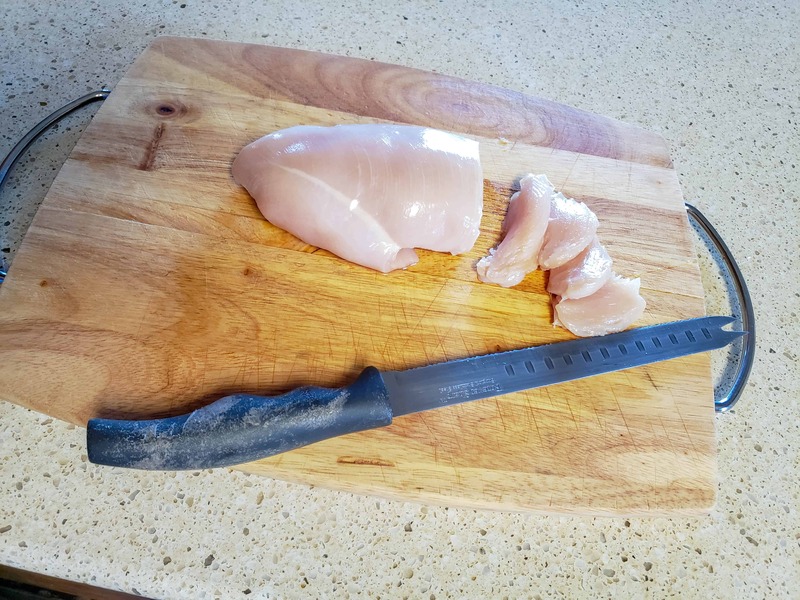 To start with, if you are using the whole chicken breasts, chop the chicken up into very small pieces. Put the chopped or ground chicken into a large mixing bowl. Now mix in everything else except the coconut oil. Make sure that it is well combined, especially the eggs since that’s what holds everything together. Heat the coconut oil in a large frying pan over medium low heat. If you have a well seasoned cast iron skillet, that would work great for these. You need to cook them at medium low because you have to make sure the inside cooks before the outside burns. And the cheese will melt and seep out a little. Once the pan has heated, scoop out some of the chicken mixture and put it in the pan. Flatten it out a little so it’s in a patty shape. You can use a couple of spoons to scoop or and ice cream scoop. I used an ice cream scoop like this one because it’s so much easier and makes them all a uniform size. Which means they’re done at the same time. Make sure that you don’t crowd the pan. These guys are likely to stick a little and if they are too close it makes it hard to turn them. Now just fry those bad boys up until they are golden brown on both sides. That will take about 6-8 minutes on each side. If they are browning too quickly, turn the heat down some more. When they are finished cooking, put them on a double layer of paper towels to blot the excess oil. Continue cooking the patties in batches until all the mixture is cooked. You can put the already cooked ones into a 200° oven to keep them warm. That’s all there is. 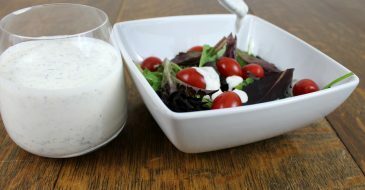 Put together a salad and pour the ranch while they’re cooking and you’re good to go. 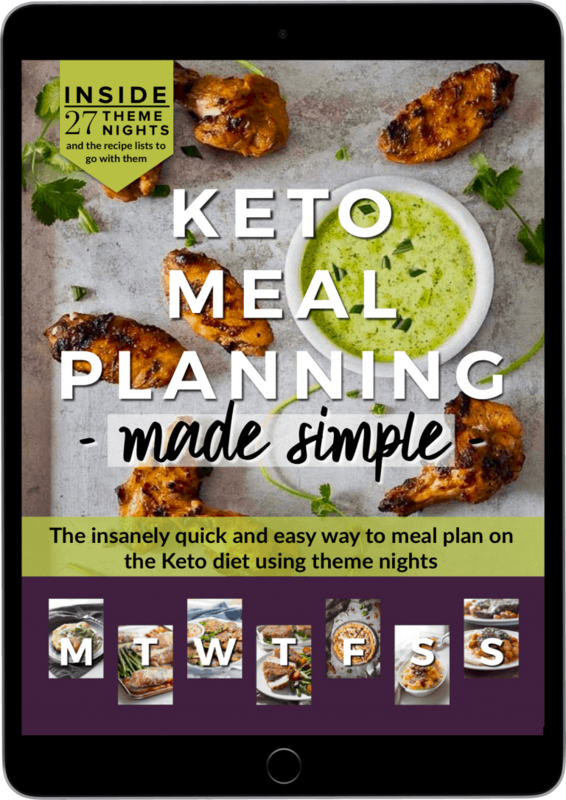 A delicious, easy, keto chicken meal that’s gonna be an instant hit with the family! And it’s on the table in about 30 minutes. What’s not to love? Peace, love, and chicken patties! 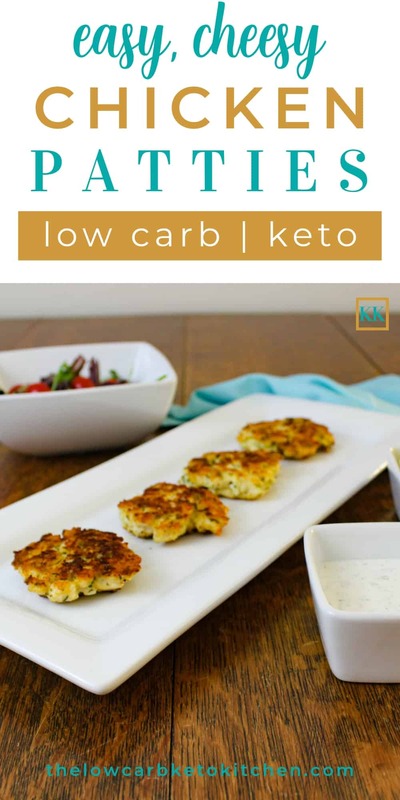 This easy, Keto Cheesy Chicken Patties recipe will become an instant hit with your family. 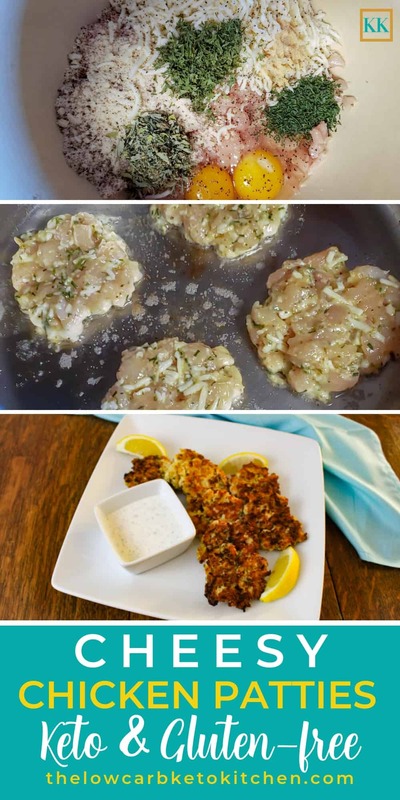 Serve with a salad and some Keto Ranch to dip and your golden! Makes 24 patties. 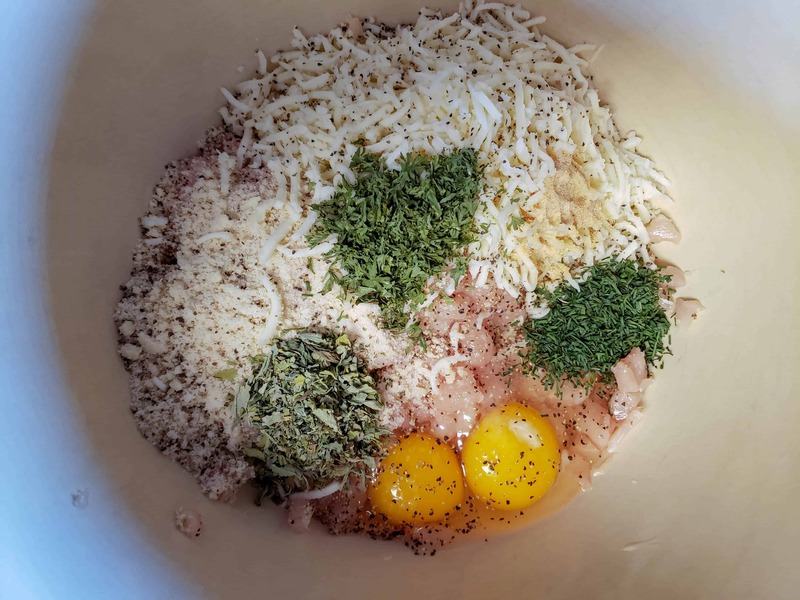 Put the chopped or ground chicken into a large mixing bowl. Now mix in everything else except the coconut oil. Make sure that it is well combined, especially the eggs since that's what holds everything together. Heat the coconut oil in a large frying pan over medium low heat. You need to cook theses patties at medium low because you have to make sure the inside cooks before the outside burns. Once the pan has heated, scoop out some of the chicken mixture and put it in the pan. Flatten it out a little so it's in a patty shape. You can use a couple of spoons to scoop or and ice cream scoop. Make sure you don't crowd the pan. I usually cook 4 at a time. Fry the patties until they are golden brown on both sides. That will take about 6-8 minutes on each side. If they are browning too quickly, turn the heat down some more. After they are done, put them on a double layer of paper towels to blot any excess oil. 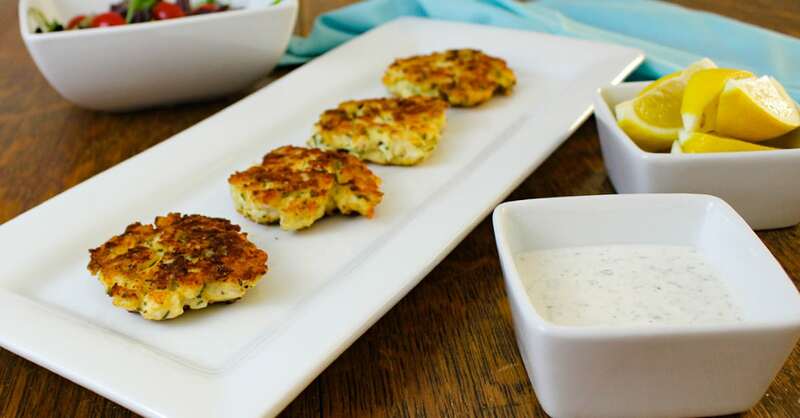 Continue frying the patties in batches until all of the mixture is cooked.